The Mining Association of British Columbia (MABC) recognized Pierre Lebel as the Mining Person of the Year for 2012 at the Mining Week opening gala in Vancouver, B.C. last night. 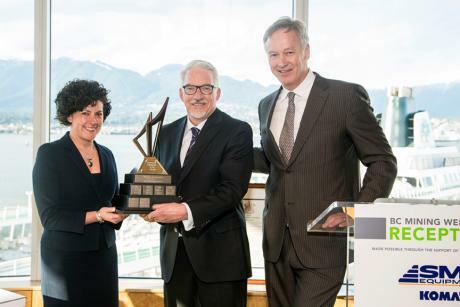 Mr. Lebel has demonstrated exceptional leadership in advancing and promoting the mining industry in British Columbia and recognition by his peers and MABC is much deserved.